While planning my recent trip to Kyoto, Japan, I came across the New York Times article “36 Hours in Kyoto” and was mildly intrigued by the recommended deep-fried skewer restaurant on a dead-end lane. 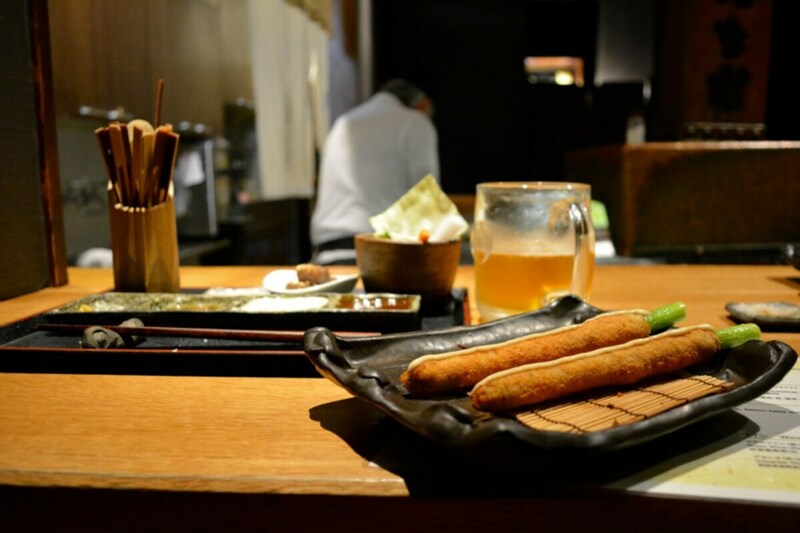 Expecting an hole-in-the-wall izakaya (Japanese-style pub) cranking out greasy sticks loaded with strange snacks, I hesitated to put Kushi Tanaka at the top of my must-do list. However, as I explored the streets of Kyoto making my way from my ryokan (Japanese-style inn) to the notable Pontocho alley, my instinct (or perhaps my appetite) steered me in Kushi Tanaka’s direction. Upon entering and glancing over the menu, I quickly learned that Kushi Tanaka is not an izakaya in the slightest, but rather, is the crème de la crème of fried food establishments, proudly offering a prix fixe 20-set course Kushiage Ippo-Tsuko meal for ¥3,800 (about US$30). Culinarily curious U.S. Army Officer, serial entrepreneur and creative spirit hungry for challenges, adventure and the next good eat.